"Nightline" visits Yemen, where the world's worst humanitarian crisis has left hospitals under equipped to treat curable diseases like cholera and diphtheria. The Al-Hamadi family is trapped in Taiz, Yemen, a city besieged by fierce fighting between pro-government forces and rebels. 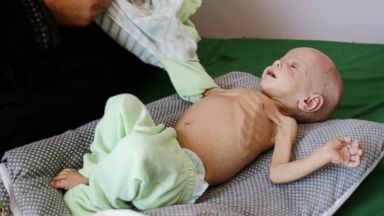 ABC News' Ian Pannell travels to Yemen for "Nightline" where children are dying of disease and malnutrition amid a devastating civil war. Saudi Arabia, with support from the U.S., is helping the government fight rebels. 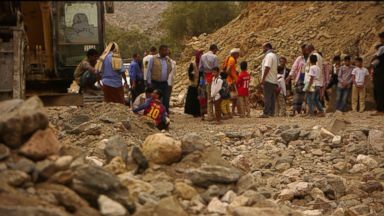 A Saudi-led military coalition's recent blockade of Yemen has prevented humanitarian aid from getting into the country, aid organizations warn.